In this video I run check the speeds of my Tracfone 4G LTE service using my BLU Life One and Tracfone’s AT&T GSM LTE network. The phone on the left is the BLU Life One. The phone on the right is my iPhone6 using Straight Talk’s ATT GSM LTE network. 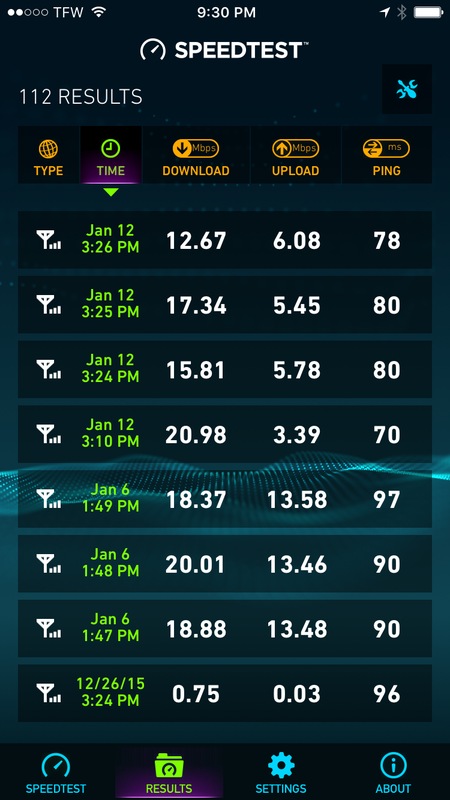 I’ll run three tests on each phone using the Speed Test app to measure my data connections download speed, upload speed, and ping time. I’m including the iPhone 6 using Straight Talk simply for a comparison. I want to say upfront that I don’t recommend running SpeedTest too often on a smartphone using Tracfone. These plans have limited data and you really don’t want to use up your data testing the network speeds. You should be able to log into the tracfone website or use the Tracfone My Account Android app to check your Tracfone’s balance for minutes, texts, and Mb of data but neither of these seem to be working for me. I’ll post an update when I find out more. 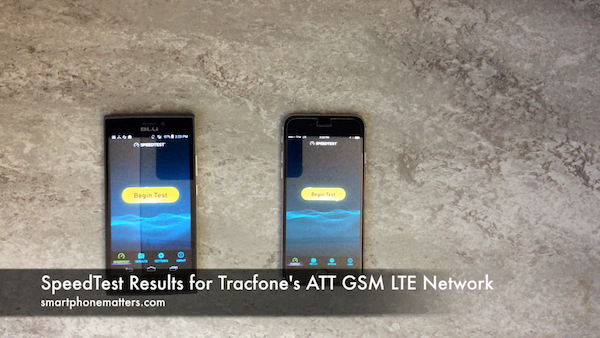 After running three speed tests on each phone, we can see the speediest results for tracfone ATT network are as follows. The first test returned 6.79 Mbps down, 6.17 Mbps up, and a 71 ms ping time.The second test returned 4.03 Mbps down, 6.01 Mbps up, and a 69 ms ping time. The third test returned 4.79 Mbps down, 6.05 Mbps up, and a 64 ms ping time. After running three speed tests on each phone, we can see the speediest results for Straight Talk AT&T network are as follows. The first test returned 15.81 Mbps down, 5.78 Mbps up, and a 80 ms ping time.The second test returned 17.34 Mbps down, 5.45 Mbps up, and a 80 ms ping time. The third test returned 12.67 Mbps down, 6.08 Mbps up, and a 78 ping time. We can see for the BLU Life using the Tracfone ATT GSM LTE network are in the 4Mbps to 6 Mbps range and these are respectable speeds. 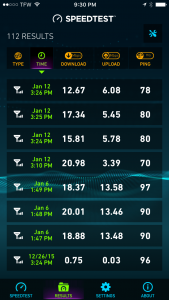 The speeds on the Straight Talk ATT network are in the 5 Mbps to 17 Mbps range. Given that both these phones are using the prepaid AT&T network and both Tracfone and Straight Talk are owned by the same company makes me wonder if Tracfone is throttling, or limiting the speed of their AT&T network. I can’t say for certain, I’d have to run more tests. That said, the speeds we are seeing are good enough for a limited data plan like tracfone.